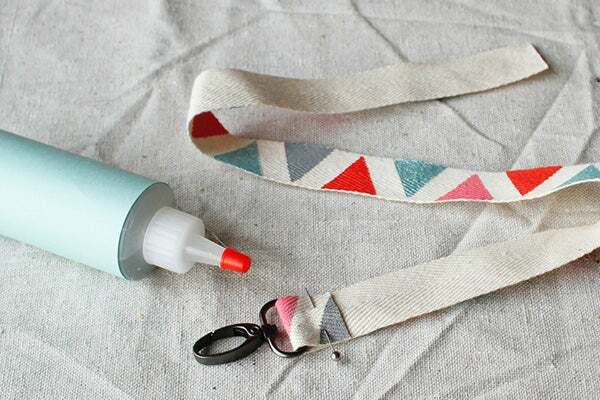 Measure out the desired length of your strap and add 2 inches. 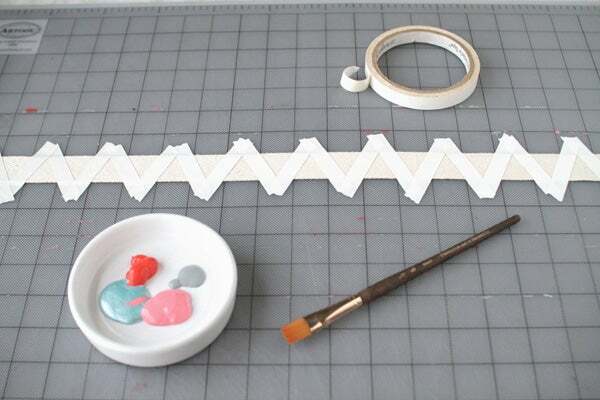 On a work surface, use tape to create a geometric design, taking care to make sure tape is fully adhered to the webbing. We used the rounded side of a bone folder to smooth the edges on the tape to be sure our paint line was crisp. Now the fun part, apply paint to webbing. 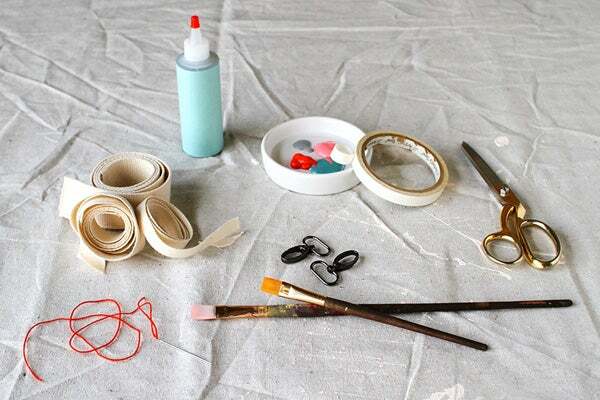 Be sure paint is dry before attempting to remove tape. Watching paint dry is a skill that takes practice. 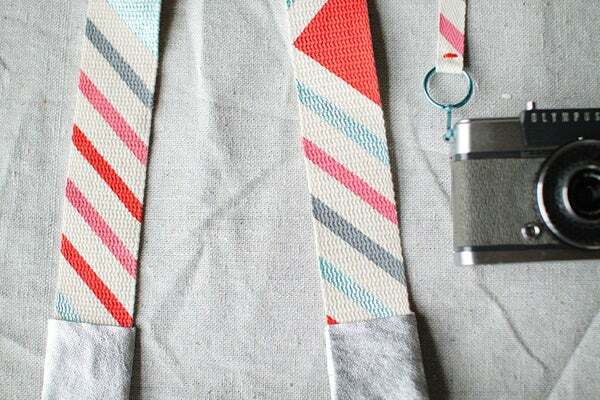 Now that your strap is looking amazing, slide the ends through the swivel hook giving yourself about an inch of strapping on the reverse side and glue. 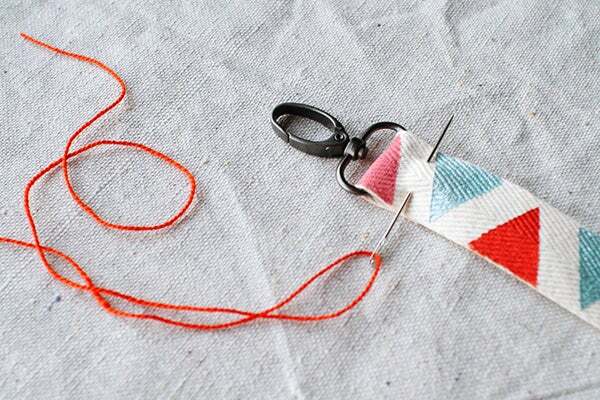 Be sure to give the hook a little bit of space to move when gluing. 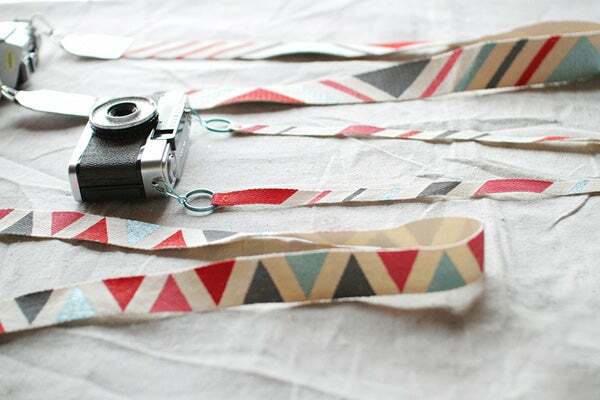 Because you’re hanging your beloved camera around your neck, add a few stitches to the glued area for good measure! **Small side note, if you have a rather heavy DSLR you may want to choose a wider strapping than what you can fit through the hardware of the swivel hook. To accommodate this we used a piece of metallic leather to create an adapter that we then glued and sewed to the end of the painted strap. 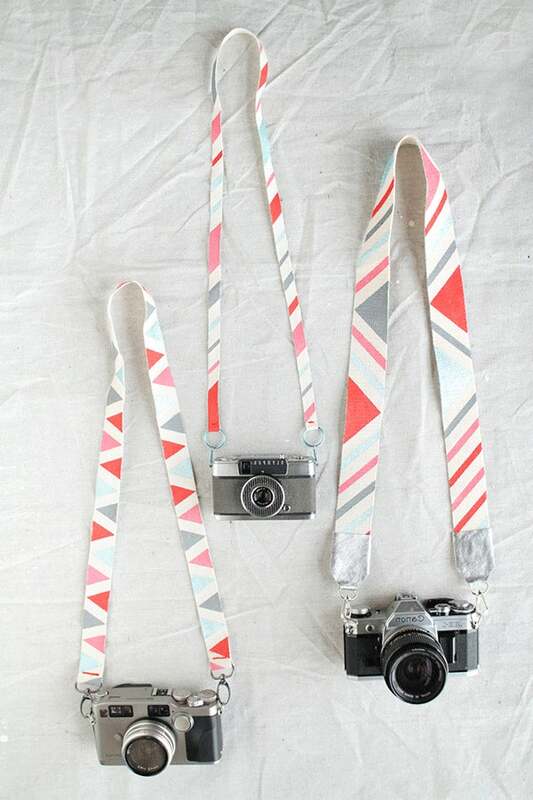 Now you’re ready to take your made-up camera to the streets and show her off.